Make a note, 5th September 2017 has been unveiled as the industry target for the US to move from a T+3 to a T+2 settlement cycle. The decision on this has been reached by the US T+2 Industry Steering Committee (T+2 ISC), organised by The Depository Trust and Clearing Corporation (DTCC) and co-chaired by the Securities Industry and Financial Markets Association (Sifma) and the Investment Company Institute (ICI). The date, however, still depends on obtaining regulators’ support in time and upon the successful completion of industry-wide testing during Q2 and Q3 of 2017. T+2 ISC says it chose 5th September 2017 “after careful consideration, input from industry participants and consultation with other markets globally”. Efforts were made to avoid any known high-volume days, large corporate action days or holidays. 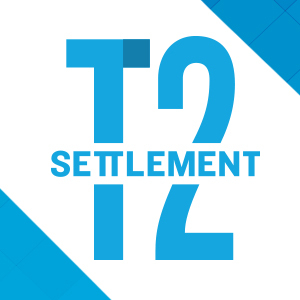 Those interested in the detailed timeline, milestones and dependencies that impact market participants in the migration to a two-day settlement cycle can find this information and more in the T+2 Industry Implementation Playbook. Useful information can also be found in a white paper issued by DTCC, “T+2 Test Approach: DTCC’s High-Level Testing Framework”. The paper highlights the processes that will be required for firms as they prepare for industry-wide testing. It also explains how high-level testing with exchanges, industry infrastructures and utilities – such as NSCC, DTC and Omgeo – will be structured. The aim of the T+2 adoption is to reduce operational, systemic and counterparty risk, lower liquidity needs and improve safety and efficiency for investors. It will also align the US market with its counterparts across the globe that have already adopted the shorter settlement cycle (e.g. many European countries). Shortening settlement cycles and increased regulatory oversight are pushing financial institutions to reform their post-trade processes. That can only be a good thing, according to a new whitepaper from trading technology specialist Fidessa. Dramatic reforms to the post-trade environment in Spain are poised to change the way trades are settled, as one of Europe’s top five markets prepares to open an equities CCP for the first time next year. US clearing body the Depository Trust & Clearing Corporation is pushing a move to shorten the settlement cycle for the US markets to T+2, claiming support from industry bodies and firms including JP Morgan.